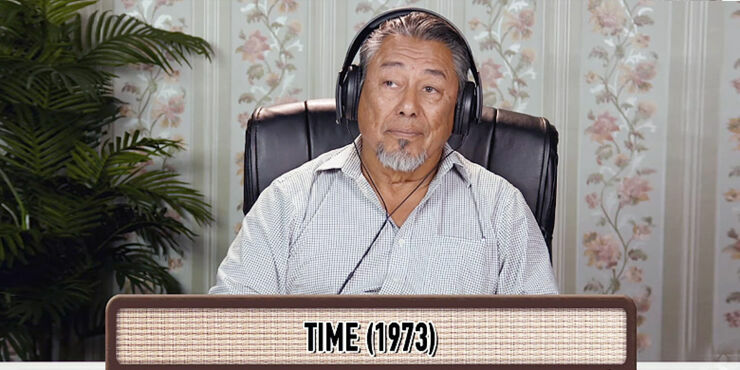 Senior citizens get all nostalgic as they react to PinK Floyd songs in this video from the Fine Brothers. 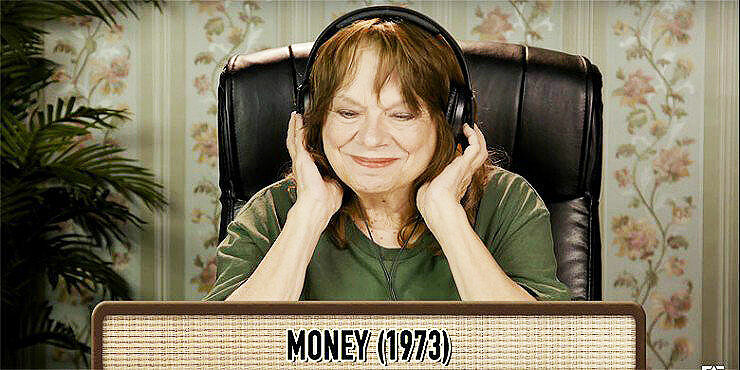 The video is part of their 'Elders React To' series where they play music to older people and film their reactions. Previous instalments have seen elders reacting to the Beatles and to Rammstein. The latter proving somewhat challenging, but it seems that playing Pink Floyd songs is a total winner (well, apart from one guy who says he in't a big fan). Sat with headphones on the participants listen to seven classic tracks from the band, including "Money," "Time," "Wish You Were Here," "Shine On You Crazy Diamond," Hey You," "Comfortably Numb," and "Another Brick in the Wall Pt.2"—and for most of them this was the music of their era. Because it was back in the 1970s and 80s that Pink Floyd were at their peak. It's a period that saw many of their classic albums get made and it was when their stages shows were a thing to behold. As is noted in the current Their Mortal Remains exhibition which follows the band's career and creative arc. So How Did The Elders React To Pink Floyd Songs? 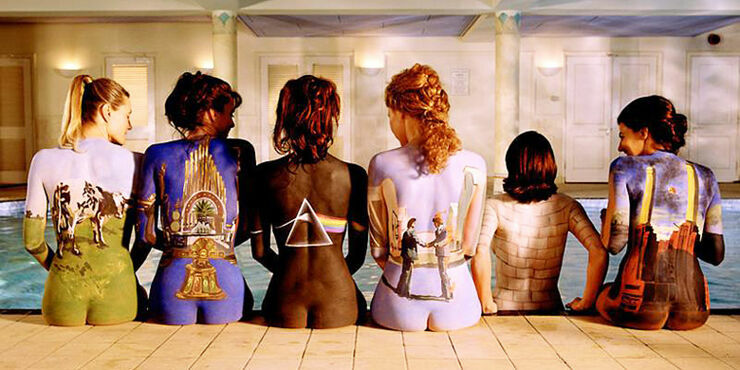 So it's no surprise that the group in the video for the most part love the Pink Floyd songs they hear. Many of them nodding along to it, complimenting David Gilmour's guitar playing and the general groove of the tunes. They also note how great Roger Waters' lyrics are, how the songs contain valuable messages, and just how timeless the tracks sound. In fact, they get quite emotional over Pink Floyd's music, with one woman even moved to tears when listening to "Wish You Were Here." "Really good music does touch us in our most basic human ways. And not all modern music does that. These guys had such insight into people and to life and had so much to say." explains one woman about their appeal. Also pointing out that, "They were real showmen. I remember a friend of mine went to one of their concerts and came back describing it and it sounded mind-boggling." Because, as these seniors know, Pink Floyd songs rock! So do they think young people should listen to Pink Floyd songs? "I think they would love the music." says one older fan. "It speaks to them." You heard the lady. You can see more from the Fine Bros at their YouTube channel.